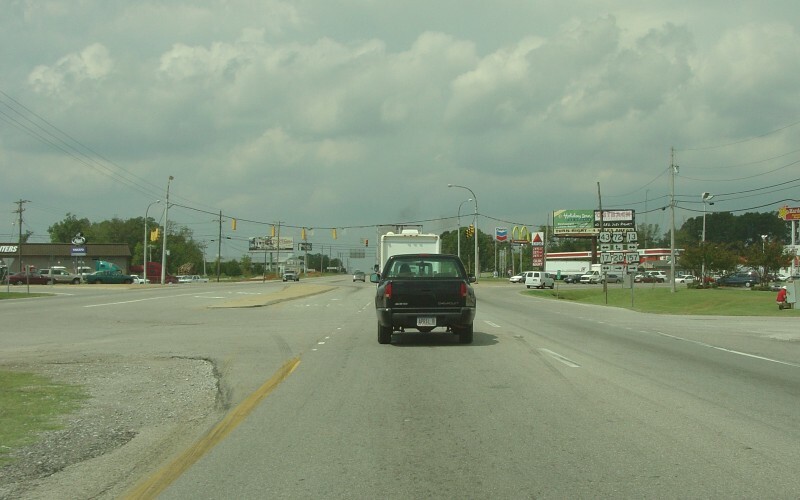 Westbound at the end of ALT US 72 in Muscle Shoals. Note the large number of highway routes signed at the intersection. No END signage was present, which is uncommon since ALDOT normally uses END signs. ALT US 72 ends while multiplexed with AL 20 and AL 157. Photo by Adam Froehlig, taken September 15, 2005.